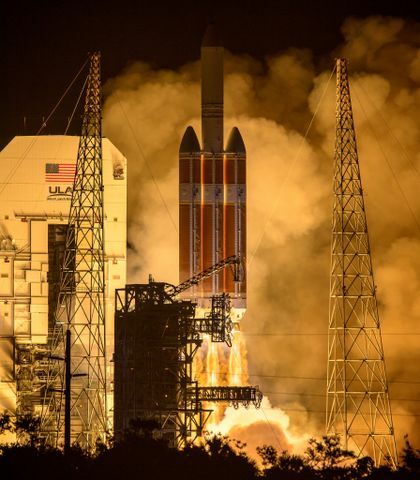 Elementary school students in Arlington, Virginia, reached a major milestone in space exploration this week with the successful deployment of their “CubeSat” Satellite and the help of Orbital ATK. 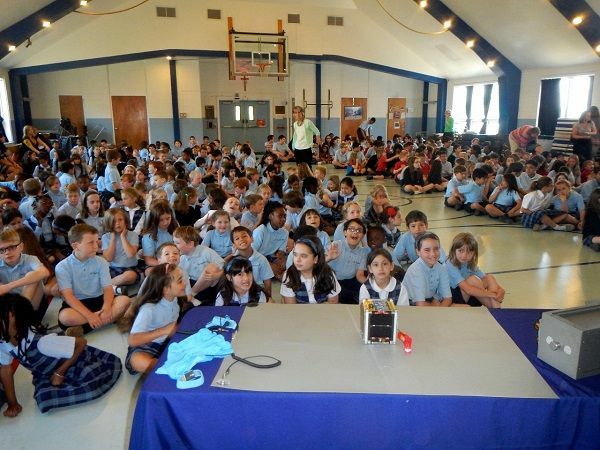 St. Thomas More Cathedral School is now the first elementary school in the world to launch a CubeSat into orbit thanks to financial and volunteer support from Orbital ATK’s Space Systems Group. Over the last three years, 400 pre-kindergarten through eighth grade students have participated in all aspects of the project, from design, to construction, to testing. 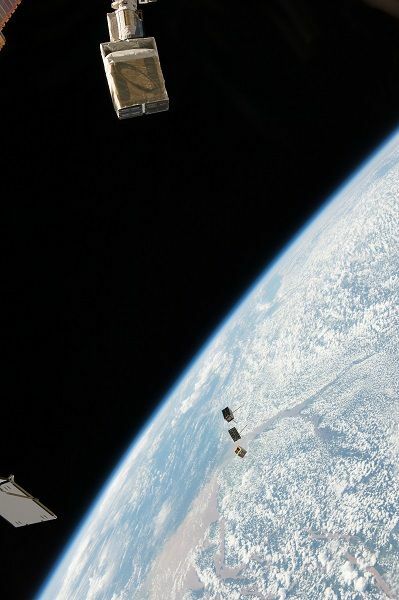 The CubeSat, officially known as St. Thomas More (STM) Sat-1, will photograph the Earth and transmit images to remote ground stations throughout the country, engaging more than 10,000 grade school students who will participate via Remote Mission Operations Centers. Joe Pellegrino, Orbital ATK engineer, NASA deputy project manager and a parent at the school, served as the team’s mission manager and led the students through all aspects of getting a mission off the ground. “Usually these are built by universities or even grad students, so it’s quite remarkable that we’ve been able to do this with grade students,” said Pellegrino. "We taught the students about design philosophy how to do computerized design. The students also helped us with a vibration test. 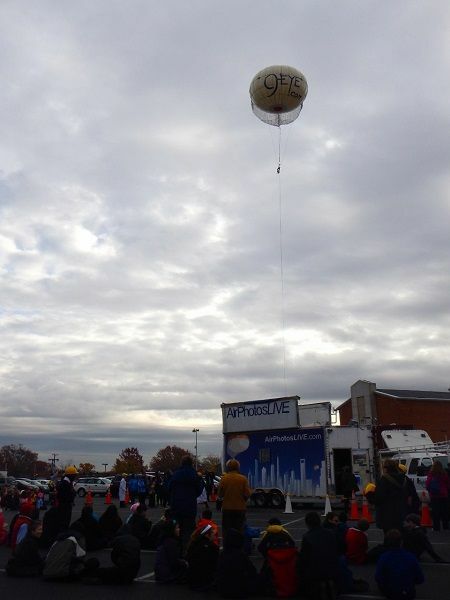 We even did a high altitude test in the parking lot of the school." 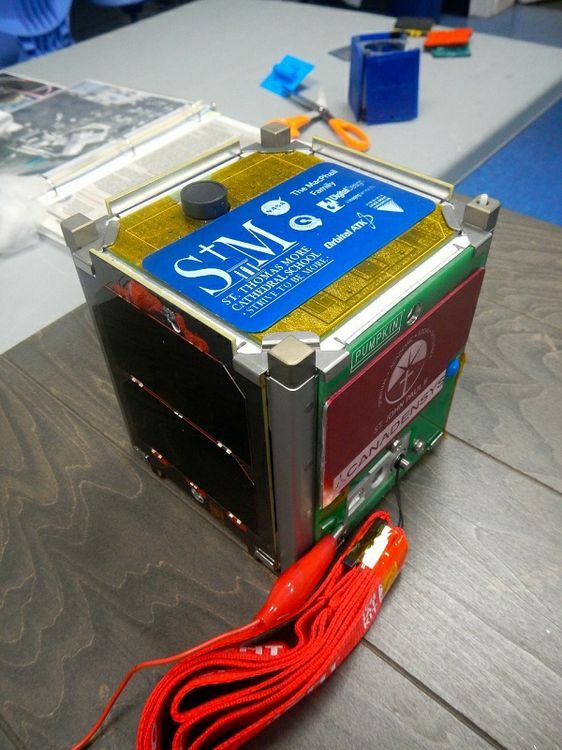 The CubeSat is four inches long and weighs close to three pounds. 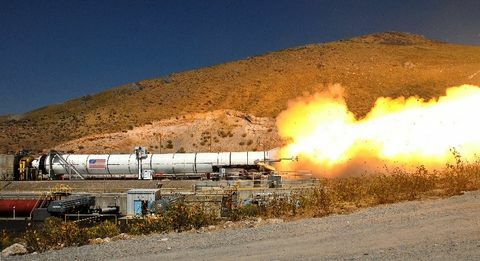 It was carried to space on Orbital ATK’s Cygnus cargo resupply spacecraft as part of NASA’s Education Launch of Nanosatellites IX mission in December of 2015. 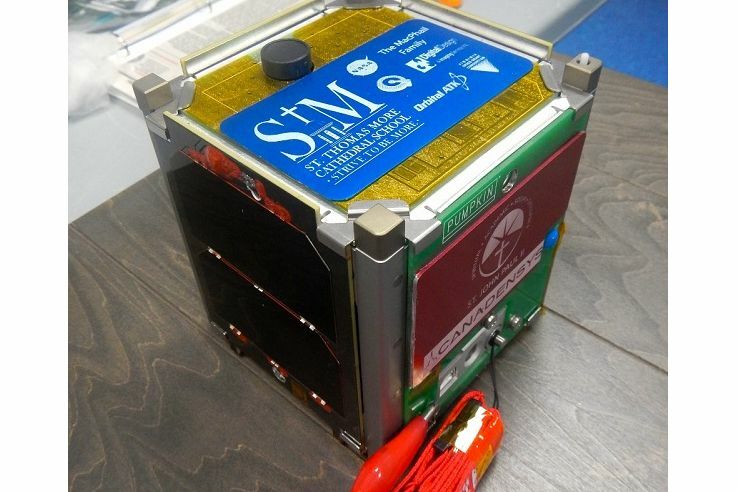 Along with CubeSats from the University of Colorado Boulder and the University of Michigan, STMSat-1 deployed from the NanoRacks CubeSat Deployer on May 16. The students expect to start receiving their first images this week. STMSat-1 (bottom right) deploys from the International Space Station on May 16, 2016. 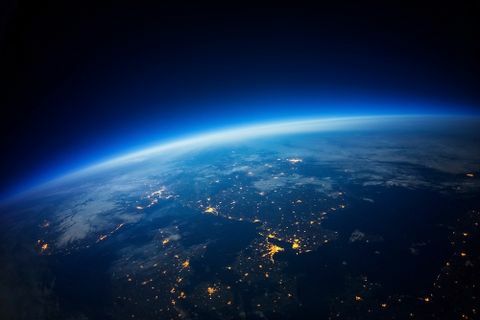 (Credit: NASA). Pellegrino says the mission was well worth the investment, especially if it inspires a few of the students to pursue engineering or science careers.